The different blinking lights on your Homebase have different meanings. 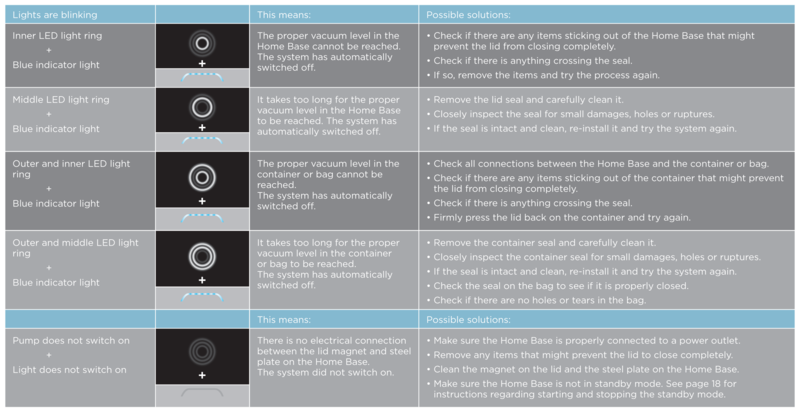 They usually indicate that there was an error when trying to create vacuum in the Homebase, a container or bag. Below is a list of the most common errors and how to resolve them. If the error code you are receiving is not listed, or if you experience difficulty resolving the error, please contact Vacuvita customer support for more information.